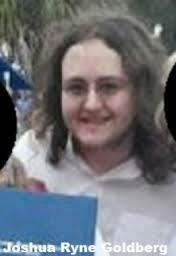 (Hancock, NY) Joshua Ryne Goldberg of Orange Park, Florida was arrested on September 10, 2015 by the FBI Joint Terrorism Task Force for masterminding an attack on a 9/11-memorial event in Kansas City, Missouri attended by hundreds. According to authorities, Goldberg admitted to the crime, which was intended to implicate Muslims. In the terror scheme, detailed in a 34-page criminal complaint, Goldberg posed as a member or sympathizer of ISIS located in Australia and conspired online with an individual whom he believed was an Islamic radical. Goldberg not only suggested the venue in Kansas City, but also went so far as to provide details on how to make the explosive device, as well as where the bomb should be placed to inflict as much damage as possible. In reality, Goldberg was not corresponding with an extremist. In fact, he was actually communicating with a confidential informant working with the FBI. After his arrest, Goldberg allegedly told authorities that he was intending for the individual to either kill himself while making the bomb, or alerting law enforcement just prior to the individual detonating the bomb, thus being hailed as a hero. Goldberg also boasted taking responsibility for instigating and inspiring the May 2015 shootings in Garland, Texas at an event mocking The Prophet Muhammad (Peace Be Upon Him). As Twitter user "Australi Witness", Goldberg posted a map of the event's location and invited those nearby to attack "with your weapons, bombs or knives." The criminal complaint describes the fact that attacker Elton Simpson retweeted one of Goldberg's messages on the same day as the shooting, leading to the false assumption that ISIS was directly responsible. Subsequently, Goldberg posted online; "You might know me for inspiring the attacks in Garland, Texas." The Muslims of America, Inc. challenges members of the mainstream media to display journalistic integrity by further investigating Goldberg and his cohort. His provocations have led to two fatalities, nearly caused dozens more, and have stoked the fire of anti-Muslim sentiment across the globe. That a story of this magnitude and significance has been buried by the mainstream media is another example of biased journalism. Moreover, it must be understood that Goldberg was not operating in a vacuum and this particular case is far from an isolated event. For centuries, there has been, and continues to be, master manipulators who sow seeds of discord with desires to perpetuate conflict between Muslims and Christians. These calculated events are designed not only to promote conflict and enmity, but also to create circumstances conducive to bringing about the Zionist's New World Order. History is replete with examples to substantiate this claim. Let this be a wake-up call to all Americans, irrespective of your chosen faith, and to peace makers the world over. The Muslims of America, Inc. (TMOA) is an indigenous American Muslim organization founded in 1980 and based in the United States of America. TMOA is dedicated to maintaining Islamic principles to be practiced in both letter and spirit by forming communities focused on love for the Almighty Creator and His Commandments, along with the establishment of long-lasting relationships with our Christian brethren through our interfaith programs.